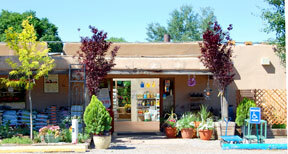 Delivery: Payne’s Nurseries offers delivery services for both gift plants and yard stock (trees, shrubs, etc.). Pricing depends on the size of the product being delivered and the distance of the destination from our stores. Delivery is available throughout the city and county of Santa Fe as well as nearby towns including Los Alamos, Española, Chimayó, Nambé and many others. We can also deliver outside of the Santa Fe area, so please don’t hesitate to ask if your destination is one we can accommodate. Call our North Store at 505.988.8011 or our South Store at 505.988-9626. Prices as of 1-1-14 are subject to changes without notice. Please check with either store for current rates.